She was a caring, devoted wife and mother. She moved to Huntsville in 1986 and calls Huntsville home. She was a waitress in the community for 26 years. 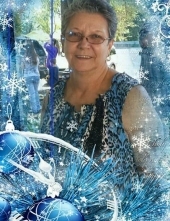 Kay loved life and her bff and enjoyed her Grandchildren. Patricia Kaye Spikes has received her heavenly wings. She was a loving and devoted wife and mother. She moved to Huntsville, TX in 1986 and has called this home since then. She was a waitress in the community for 15 years. She loved life and her bff Elizabeth Wise, children and grandchildren and greatgrandchildren. To send flowers or a remembrance gift to the family of PATRICIA KAYE SPIKES, please visit our Tribute Store. "Email Address" would like to share the life celebration of PATRICIA KAYE SPIKES. Click on the "link" to go to share a favorite memory or leave a condolence message for the family.